I recently discovered the company and all their games, and I absolutely love them. This is one of the few free games you can get that has in app purchases. Usually I’m not keen on getting free games because you basically feel like you HAVE to make in app purchases to proceed but this game does NOT force you to make purchases at all! I’ve been playing for a couple days now and you can easily earn the tickets in game or go ahead and purchase some if you’re impatient. It’s super fun, like all their other games, and I only have one issue. Navigation of the menu and tenants is a little complicated and time consuming but I can live with it so it’s barely an issue. Awesome game!! this game has so many neat features. i’ve been playing it on and off for years. my only suggestion is to either make obtaining tickets easier or lower the cost of items that use tickets as currency. it can be really frustrating when you want to unlock new hairstyles and outfits and having to use 8 tickets, which is fairly a lot. and maybe a sneak peek of the outfit or hairstyle we’re purchasing would be nice?? And i think it would be a great idea if you could gift your friends research points and money because some of my friends that just started the game are in deep debt and are tempted to delete the app. and maybe homosexual couples to add diversity. you could even include the option to adopt!! thank you!! This game offers a fun and unique experience everyone will enjoy! I love the little animations the characters make and giving advice to your resident is something not many games would do. 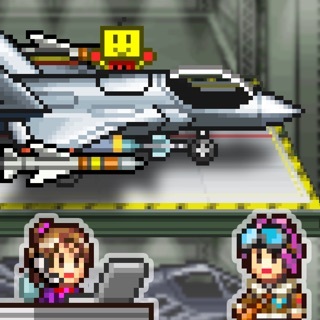 It’s old school pixels is somewhat similar to a real life toy I had, Pixel Chix. That would explain why I love it so much! It’s cute and relaxing to play. I can see this becoming a huge success! I only have two gripes with this game. The beginning is a bit slow but I can look past that. And the tickets can be tough to get. It’d be nice to get them more in-game. But the game more than makes up for this!